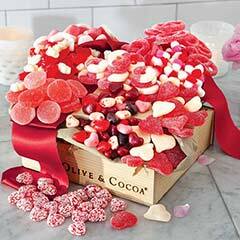 A bounty of cheerful treats means love at first sight with our At First Blush Crate. 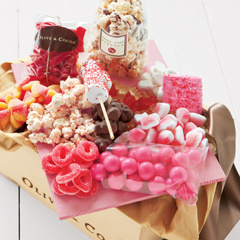 Petite includes taffies, pink and white popcorn, foil wrapped chocolate heart, berry taffy staff, gummy puffs, puffy poles, and rock candy stick. Large also includes two white chocolate marshmallow nonpareils, one additional berry taffy staff, one sugar cookie, and a box of grey salt caramels. 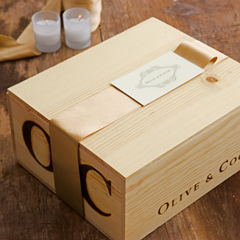 Each size arrives gift wrapped in a hand crafted wood crate with ribbon. At First Blush Crate is rated 5.0 out of 5 by 4. Rated 5 out of 5 by Mickiw from Absolutely adorable! Given as a get well gift following surgery and my granddaughter raved about how beautiful this gift was. She loved every bit of it. Thank you for helping to bring smiles to her face! Rated 5 out of 5 by Marlene from Very Impressive arrival! 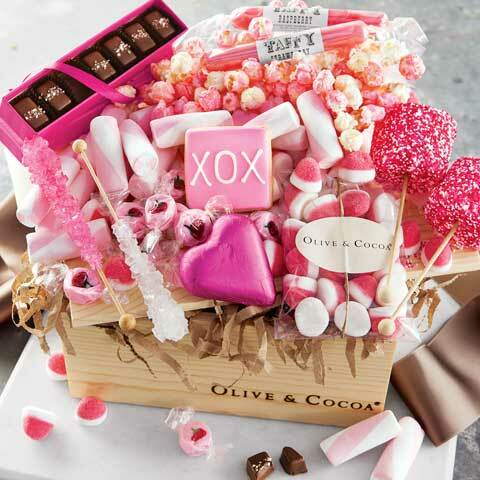 Sent this to my BFF for Valentine's Day and she was so thrilled with the package when it arrived in the big wood box. She loved all the treats but did mention there could have been more chocolate. Rated 5 out of 5 by mommies bites from Lovely! This was a gift for Valentines for our daughter and granddaughter.. They loved it!!! They said it was perfectly beautiful in the presentation and the candy was wonderful. My daughter is a gift designer and she definitely knows style in putting something like this together. Just so nice!! !